THE Infrastructure Development Bank of Zimbabwe (IDBZ) yesterday officially commissioned its Southern Region office in Bulawayo, positioning itself to adequately steer infrastructure projects across the country. 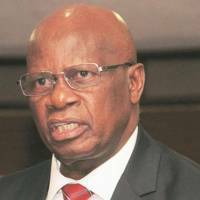 Finance and Economic Planning Minister Patrick Chinamasa said in a speech read on his behalf by his Permanent Secretary Mr Willard Manungo during the commissioning event that Government was ready to capacitate the institution to ensure it effectively delivers on this mandate. He said IDBZ Bulawayo regional office was being opened against Government renewed drive to accelerate infrastructure development in the country, which was a key enabler in facilitating sustainable and inclusive social and economic development. “Government, on its part promises to make it possible for the bank to deliver on its mandate by adequately capitalising it, with $20 million additional funding having already been availed in the 2018 budget. “In order to argument these resources, Government is engaging other critical stakeholders, especially in the private sector and other external development financial institutions,” said Minister Chinamasa. 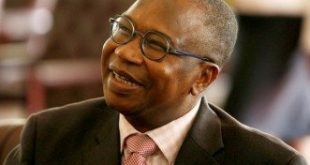 He said the Government was also pursuing the partial privatization of the bank as a way of attracting fresh capital from other investors within and outside Zimbabwe. Minister Chinamasa said the commissioning of IDBZ’s Bulawayo regional office confirms the bank’s unwavering support of Government’s goal to ensure nationwide infrastructure development was evenly distributed across the provinces. It is hoped that the presence of IDBZ in Bulawayo will go a long way in spearheading infrastructure projects in the Southern and Western parts of the country in areas of energy, transport, water and sanitation, Information Communication Technology and housing, among others. 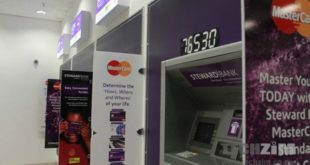 The minister said the bank was making significant strides in promoting infrastructure development through various projects such as Empumalanga West housing project in Hwange, Kariba housing project, the Zimbabwe Electricity Transmission and Distribution Company prepaid metering system with the investments at different levels of implementation. “To this end, I am told that the bank has already started rolling out important infrastructure projects through the regional office, with the bank having already acquired sites for housing projects specifically in Bulawayo, Zvishavane, Hwange, Lupane, Plumtree, and Gwanda,” he said. Minister Chinamasa also applauded IDBZ for playing a key role in reducing shortage of student accommodation at institutions of higher learning across the country. In an interview, IDBZ chief executive officer Mr Zondo Sakala said the opening of the Bulawayo regional office was a symbol of the bank’s commitment to deepen its role in promoting infrastructure development efforts across the country. “We saw it fit given the importance of this part of the country in terms of the potential and of course the need and we are talking of the whole western and southern part of the country. “We want to have a strong enough presence on the ground to ensure that there is deep dialogue and building of partnerships and also better understanding on our part as to what the challenges and ambitions are,” he said. Mr Sakala said IDBZ was mandated to managing Government funds on a number of public sector investment programmes with a significant figure of such projects like the Gwayi-Shangani Dam being in the southern and western parts of Zimbabwe. 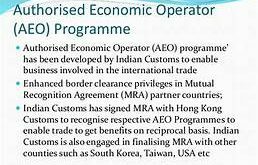 “So, it’s also important that we will be close enough to the projects themselves so as to provide timely monitoring and advisory services. “ We are happy that we now have this office (Bulawayo region) and we are going to put more staff and we have also upgraded the level of leadership in the office, it is now led by a manager, who is part of the overall management team of IDBZ,” he said.